Mother's Day is Sunday but let's face it, I have been a little preoccupied with a major project. But yesterday, inspiration hit. I had painted the first coat of paint in the kitchen and I was in the process of washing the paint off of the tile lining the counter tops (which I seriously dislike) when a whole row just fell off. Imagine my surprise that there was wallpaper underneath! So I finished removing it and will paint that section tomorrow afternoon. 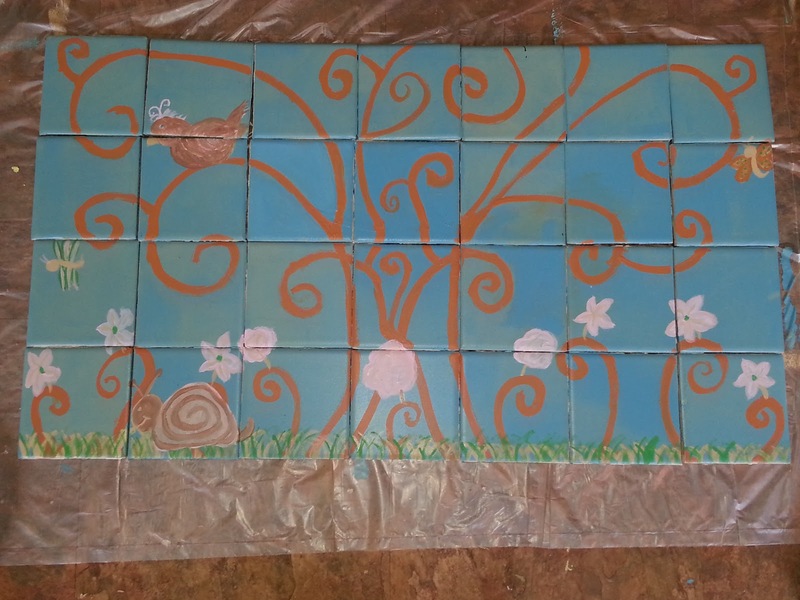 In the process I ended up with stacks of tile and no need for them. 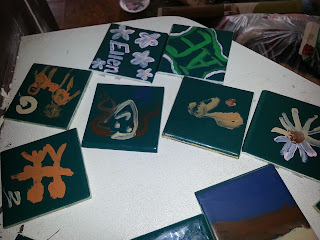 Then last night I remembered seeing tile coasters on Pinterest a couple of weeks ago. So now Mother's Day is taken care of and hand painted coasters are awaiting a coat of sealant and to be wrapped. ( I will post pictures at the end of the post). 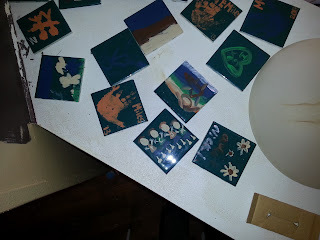 As with most crafts I do with my kids, I have to try really, really hard not to "improve" their work. But we had a lot of fun doing it. In other ongoing challenges, I don't think Miles will EVER be potty trained. He was doing so good for a while and then he just stopped. However on the upside, he refused to do number 2 in a diaper and will cry if he just can't get to a bathroom to go and he can't hold it anymore. So I need any training tips you got. Bring them on. 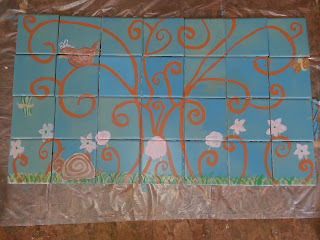 And a little randomness- remember those tiles from earlier? 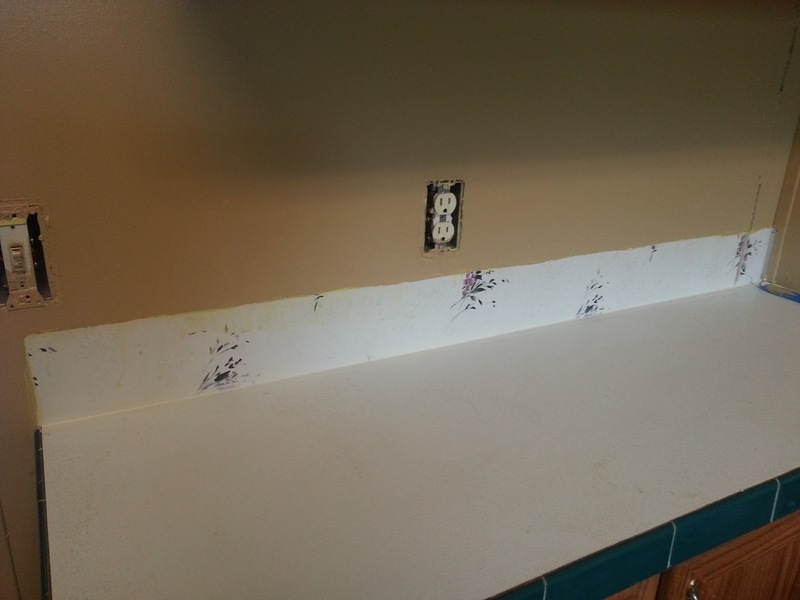 Well I also removed the backsplash and to my husband's great dislike, I painted them and he gets to put them back up this weekend. So as promised here are some pictures. 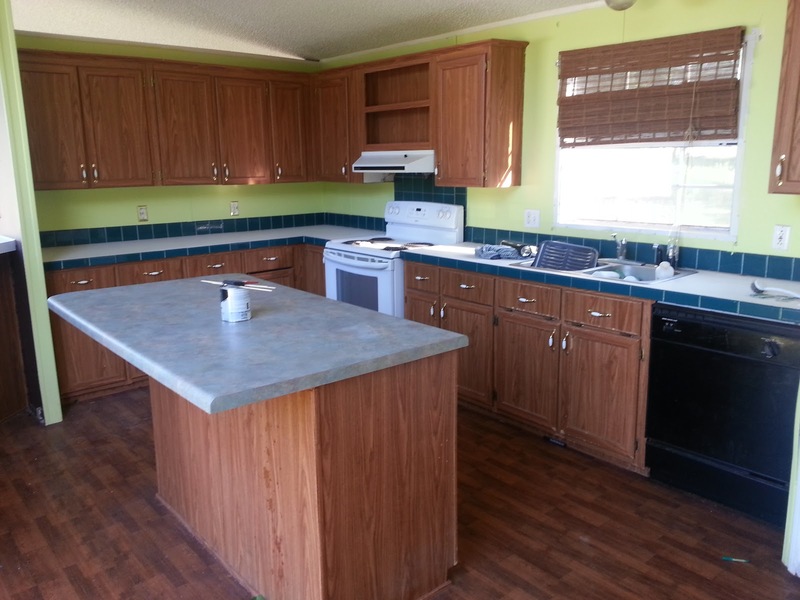 Here is the kitchen with it's lime green paint and the tiles I talked about are the ones lining the wall. Can't do anything about the ones lining the edge of the counters yet. The new paint color and where the times just fell off as I was cleaning them. 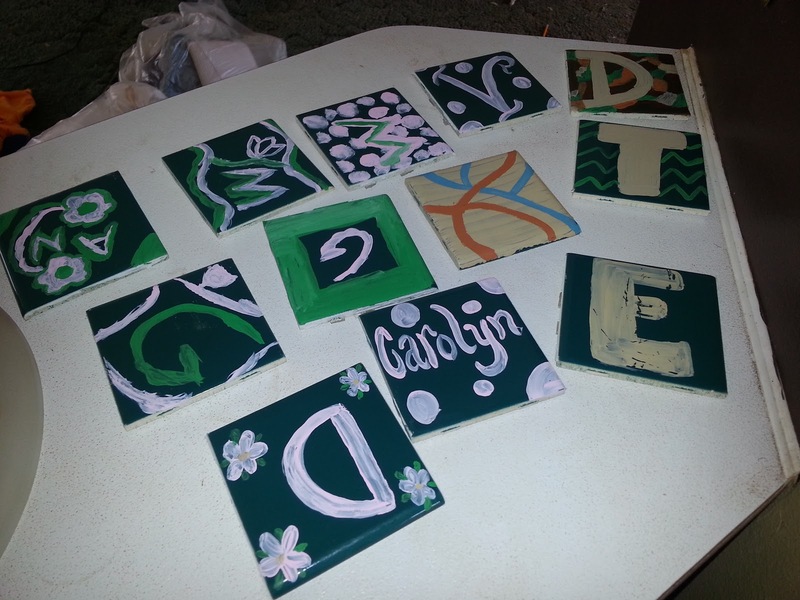 The first step to our Mother's Day coasters. Picture 1 of 3 so I could show all of them.